How To Select a Stair Lift for Your Atlanta Home: Indoor or Outdoor? Straight or Curved? 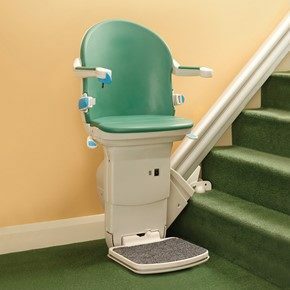 Will the stair lift be in an indoor or outdoor location? Initially this may seem an easy question to answer, but after you consider a few things, it may be more challenging. 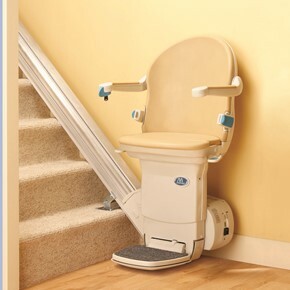 Curved or custom stair lifts are significantly more expensive than straight stair lifts. 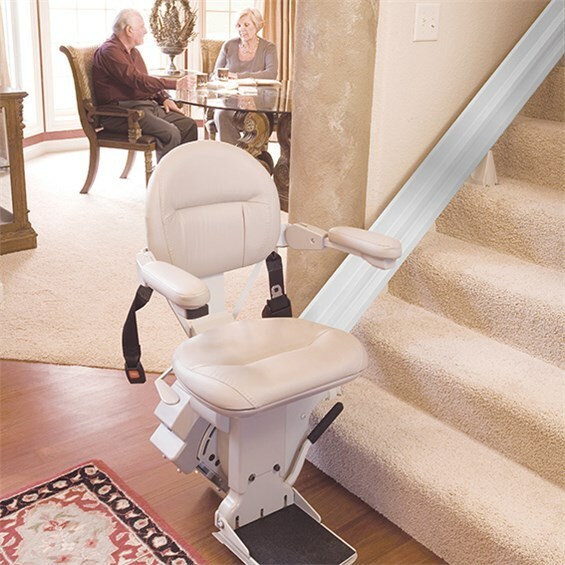 If your indoor stair location requires that you install a curved or custom stair lift, you might consider locating the lift out-of-doors on a stair that is straight. 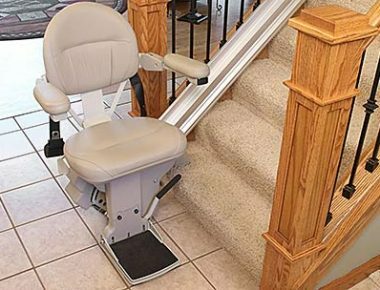 The Bruno Electra-Ride Straight Rail Stair Lifts are available in four models, one outdoor and three indoor models. These install easily and quickly, indoors or out. 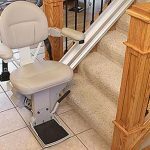 Be aware that if the straight stair has significantly irregular step dimensions, you may require a custom lift. Will you need a curved or straight stair lift? Switchback stairs: A stair that goes up 6 or 7 risers to a landing, then goes up another 6 or 7 steps to the next level. Curved stair: A stair that curves in a fixed radial pattern. Irregular straight stair: A straight stair that has one long step in the middle, or shifts in one direction part way up the stair. 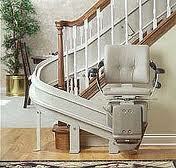 Be cautious when shopping for stair lifts, and do research the manufacturers and models. 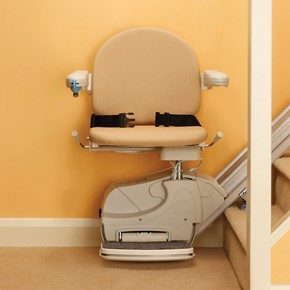 There are many popular brands which vary in stair lift quality, capacity ratings, availability, warranties, dependability, and ease of servicing. For PART II of this series, go here. 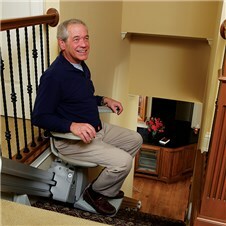 This entry was posted in Bruno Stairlifts, Curved Stair Lifts, Outdoor Stair Lifts, Straight Stair Lifts, The Atlanta Home Modifications and tagged Assistive Technology, AtlantaHomeMods.com, Bruno Stairlifts, Curved Stair Lift, Disability, Residential elevator, Stair Lift Installation Atlanta, Stairlift, Straight Stair Lift, The Atlanta Home Modifications. Bookmark the permalink. How To Select a Stair Lift Part 3: Stair Lift, Platform Lift or Ramp?